There are lots of announcements coming out of MWC 2018 at the moment, all vying for attention and competing to take money from eager customers. To stand out from the crowd a little, Sony has just revealed its new Xperia XZ2 and Xperia XZ2 Compact smartphones, both of which feature HDR Full HD+ 18:9 displays. 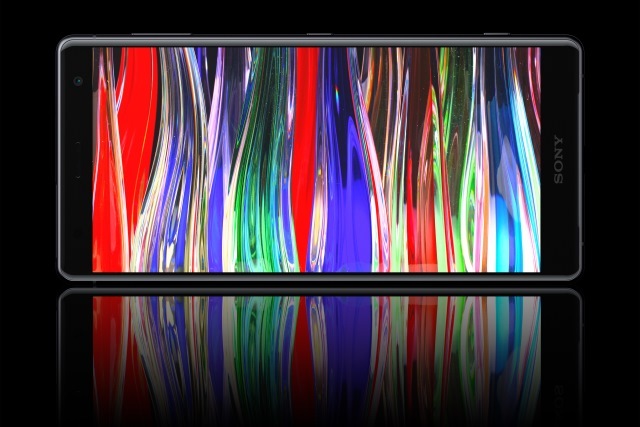 The Sony Xperia XZ2 is the first smartphone to offer 4K HDR recording, and it also boasts a full HD 960FPS super slow-motion mode. There's a revamped, curvier design for both phones, which Sony is calling Ambient Flow, and Corning Gorilla Glass 5 is on hand to keep things scratch-free. Both phones come kitted out with Android 8.0 Oreo and feature a rear-mounted fingerprint reader. The Xperia XZ2 is a 5.7-inch model, while the Compact is a 5-incher; both feature a Qualcomm Snapdragon 845 complete with Gigabit LTE. Sony is introducing a new haptic feedback system called Dynamic Vibration System which it says will help to bring games, movies and videos to life. The company also says that the front facing S-Force Front Surround speakers are its loudest yet. There's no 3.5mm jack, with Sony hoping that you'll rely on wireless headphones -- although there is a USB-C adaptor if you insist on using wired bins. 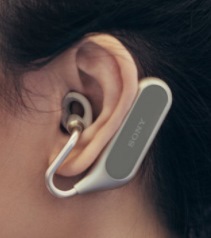 Sony also took the opportunity to push out an AirPods rival -- the Xperia Ear Duo. Available from the spring, the Xperia Ear Duo features an open-ear design that lets you listen to music whilst still being able to hear sounds around you. There's also voice control, support for head gestures (answer a call by nodding your head, for instance) and a charging case. And it seems as though you'll need the charging case -- Sony says to expect just five hours of music listening from a full charge. Sony has long offered impressive cameras, and the Xperia XZ2 is no different. As well as the ability to record at 4K HDR, it can also be used to create 3D scans. The front camera can be used to take a 3D selfie, for example. The phone is not waterproof, but it is IP65/IP68 certified. 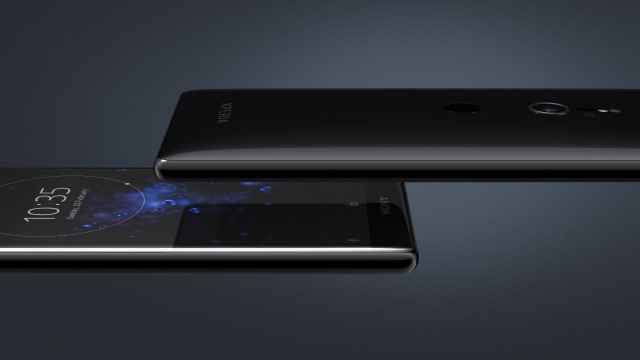 The Xperia XZ2 is powered by a 3,180mAh battery, and it support wireless charging. The Compact does not feature wireless charging and is a 2,870mAh unit. You can check out the full specs for the Xperia XZ2 and Xperia XZ2 Compact over on the Sony website. Sony has not revealed pricing details yet but says that the handsets will be available globally next month. Your color choices for the Xperia XZ2 will be Liquid Silver, Liquid Black, Deep Green and Ash Pink, while for the Compact you can choose between White Silver, Black, Moss Green and Coral Pink.